Feed this monkey for one week. Sponsor complete rehabilitation services for this monkey for one month. Feed this monkey for a whole year. Provide this monkey with a full year of food, veterinary services and rehab work. Sponsor this monkey for its entire lifetime in our program until it's repatriated into the wild. About: Otis was rescued from the side of the road by the kind people at Caraya, and, since joining the rehabilitation center, has improved his tree-climbing and branch-grabbing skills 1000%. Keep on swinging, Otis! 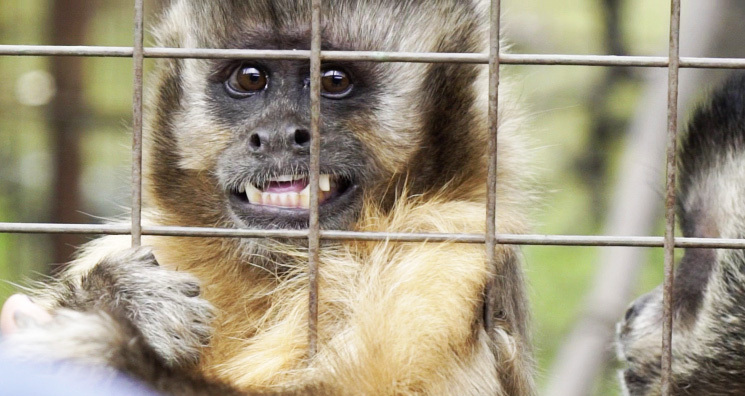 Proyecto Caraya is the first and only primate rehabilitation center in Argentina, and the only one in the world that works with black howler monkeys. The monkeys are waiting for your visit and donations. Read about their quirky attitudes, what foods they like and which one will be the best match for you. Get ready for an amazing volunteering experience. Grab your sleeping bag and head over to the center where you provide the monkeys with all the love they need.